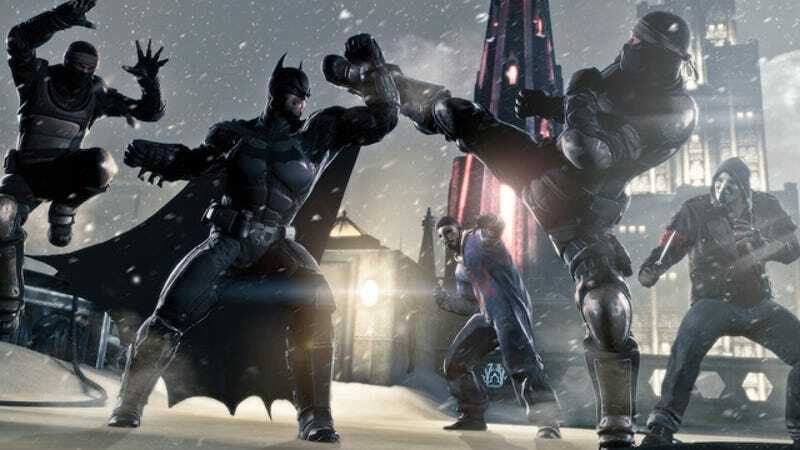 The developers of Batman: Arkham Origins have no plans for any further patch to address bugs or problems gamers are reporting in the official forums. However, they are "working hard on the upcoming story DLC." Ruh roh. "If we do move forward with creating a new patch, it will try to address the progression blocking bugs for players, not the minor glitches that do not prevent one from continuing to play." That's a hell of a conditional, as it acknowledges there are defects in the game that can block a gamer's progress altogether and yet they may not be addressed. It's unknown what percentage of gamers are affected by these bugs (or if one platform is more susceptible than others). Any issues "that are not progression blockers will unfortunately no longer be addressed." So, there you have the order of battle: 1. DLC. 2. Progression-blocking bugs—maybe. 3. Forget it. First, Kill All The Cyclists. Premium Rush, Reviewed.